Trying to make ends meet? 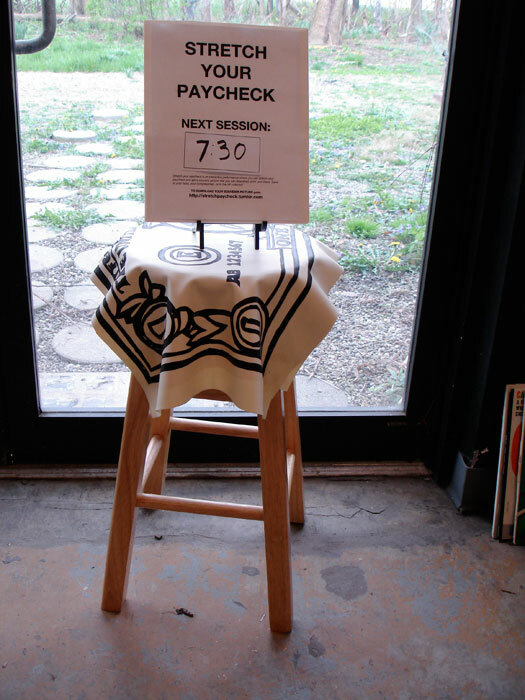 Having trouble paying bills? 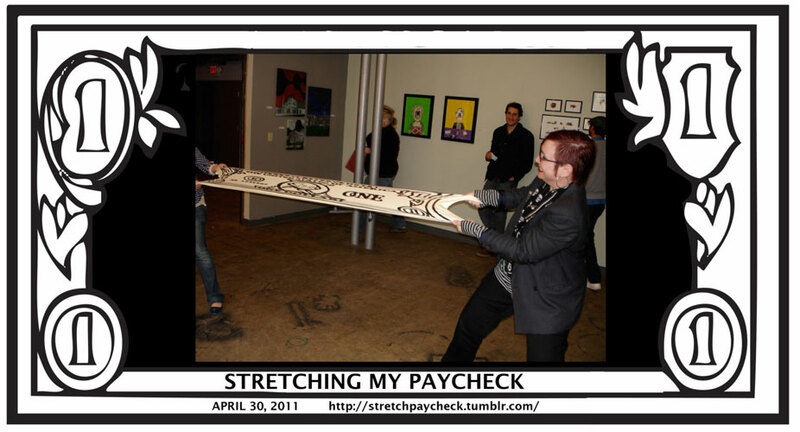 Stretch your paycheck!! 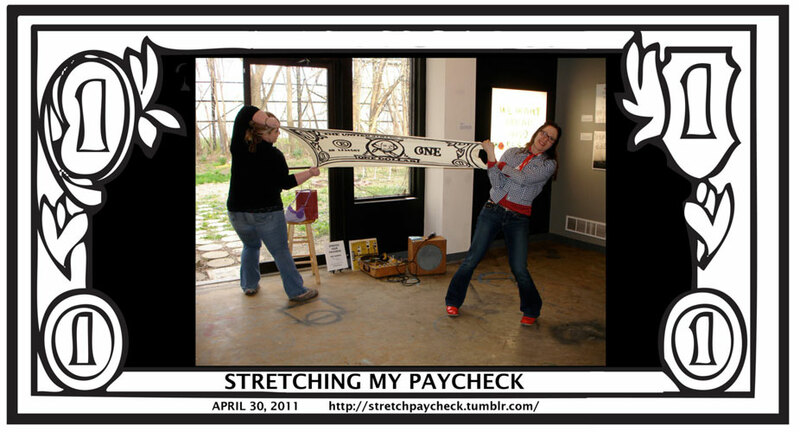 Stretch Your Paycheck is an interactive performance where individuals can stretch a dollar bill latex graphic, and get a souvenir picture to download the day after the event, print, and share. 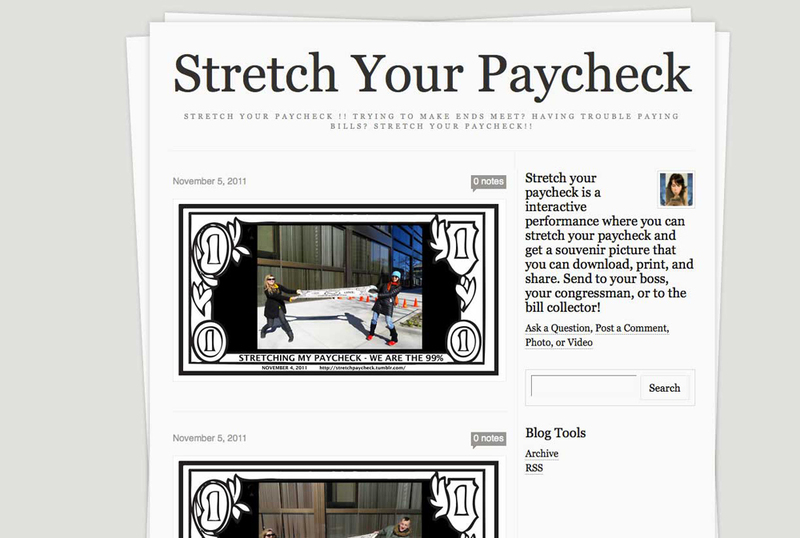 Images can be sent to your boss, your congressman, or to the bill collector! Today 8.4% of Americans are unemployed, and 18.3% are employed part time, but want to work full time. Gas, food, and water continue to get more expensive, and more people are find it hard to make ends meet. 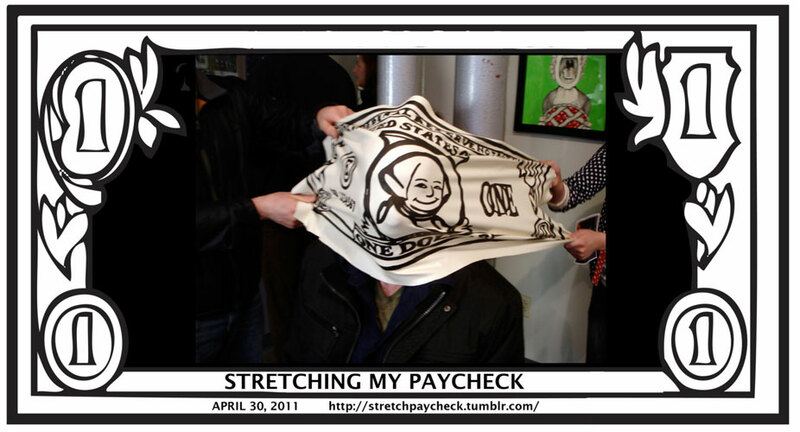 Many working Americans have had their salaries frozen, while the cost of living continues to rise. 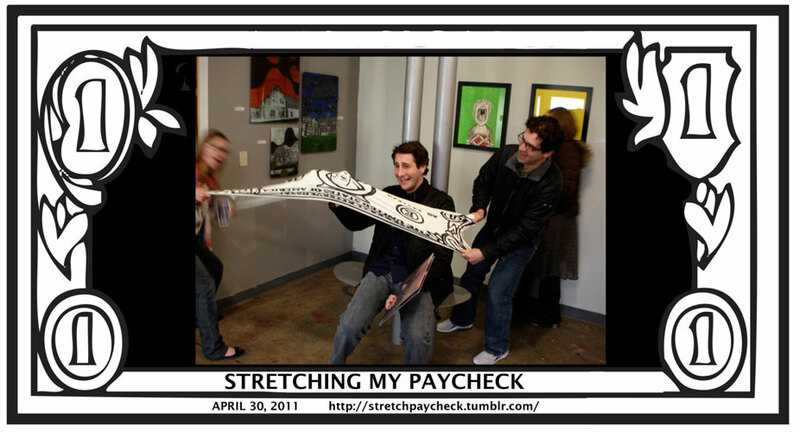 Stretch Your Paycheck is an site-responsive interactive public performance where individuals are invited to stretch a large dollar bill latex graphic, get their picture taken, and later retrieve a souvenir picture to download, print, and share. Participants are invited to send the souvenir image to their boss, congressman, or the bill collector. The performance occurs in public spaces like on a street corner, in the town square, or at a social event like a gallery opening. 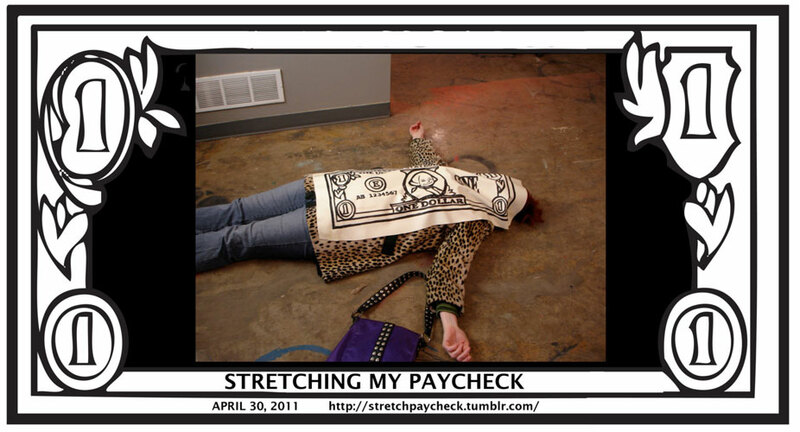 Stretch Your Paycheck generates both live and documented images that provide a unique tongue-in-cheek look at the contemporary problem of trying to make ends meet, keeping up with expenses, and stretching a paycheck. Lakewood 4th of July Parade, Lakewood, OH. 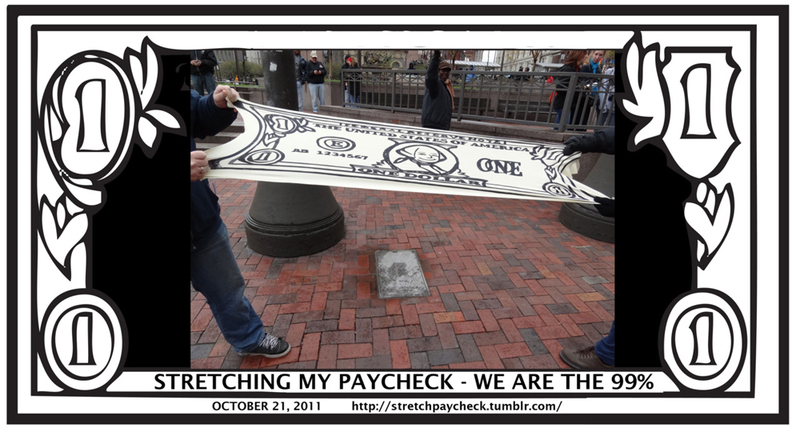 Occupy Cleveland Rally, Public Square, Cleveland, OH.